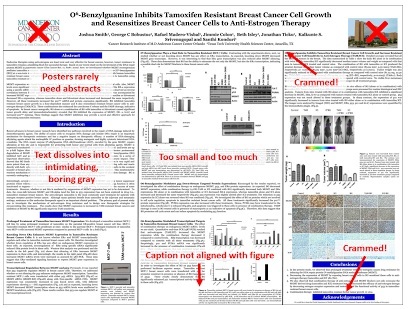 What kind of information can I convey during my talk that will complement my poster? What software can I use to make a poster? PowerPoint: A popular, easy-to-use option. It is part of Microsoft Office package and is available on the library computers in rooms LC337 and LC336. 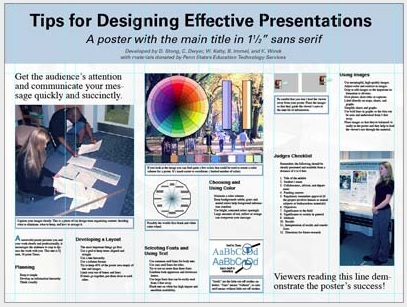 (Advice for creating a poster with PowerPoint). Adobe Illustrator, Photoshop and InDesign: Feature-rich professional software that is good for posters including lots of high-resolution images, but they are more complex and expensive. Open Source Alternatives: OpenOffice in the free alternative to MS Office (Impress is its PowerPoint alternative). Inkscape and Gimp are alternatives to Adobe products. For charts and diagrams try Gliffy or Lovely Charts. A complete list of free graphics software.